What’s the Stem Cells Buzz this Week? - Iron-mediated Pluripotency, iPSC Immunity, Radiation‐induced Lung Injury, and Human Glial Progenitors! 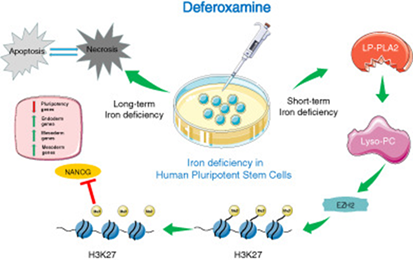 A STEM CELLS study from Zhen‐wei Pan, Ben‐zhi Cai (Harbin Medical University, Harbin), and Nan Cao (Sun Yat‐sen University, Guangzhou, China) recently sought to understand the biological role of iron homeostasis in human pluripotent stem cells (PSCs). Han et al. discovered that a short-term loss of iron increased the activity of lipoprotein‐associated phospholipase A2 (LP‐PLA2) and the production of lysophosphatidylcholine, thereby suppressing NANOG expression by enhancer of zeste homolog 2 (EZH2)‐mediated trimethylation of histone H3 lysine 27. Furthermore, longer-term iron deficiency reduced survival and promoted apoptosis in PSCs. Immune responses to human induced pluripotent stem cell (iPSC)‐derived cells represents an ongoing concern regarding the clinical application of autologous cell replacement therapy. 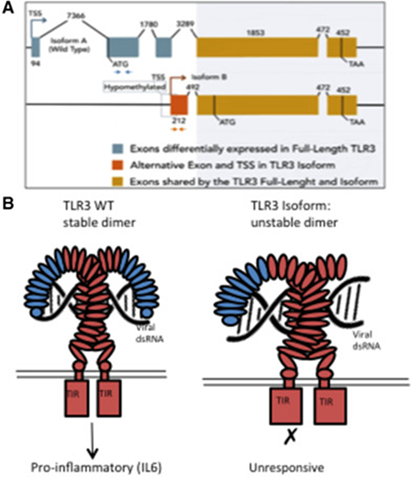 Now, new research from the lab of Michael J. Edel (University of Barcelona, Spain) has demonstrated that the overexpression of a toll-like receptor protein 3 (TLR3) isoform due to epigenetic effects suppresses innate immune signal transduction in human iPSC‐NSCs due to the suppression of the NF‐KB p65 signaling pathway. Requena et al. propose screening human iPSC clones for these alterations as an essential step towards clinical applications. See STEM CELLS ow for all the details. Radiation‐induced lung injury (RILI) represents a common complication in radiotherapy of thoracic tumors that limits the therapeutic dose of radiation received; however, mesenchymal stem cell (MSC) therapy may attenuate RILI via the secretion of soluble cytokines. 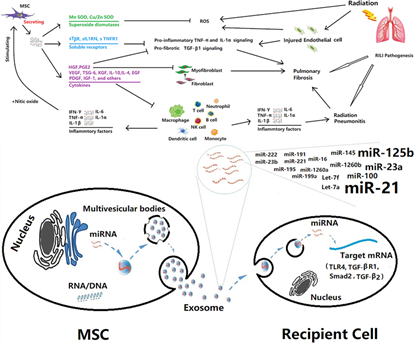 Now, researchers from the lab of Siguang Xu (Xinxiang Medical University, Xinxiang, China) provide a summary of the recent progress made regarding the various regenerative/protective mechanisms at play with an emphasis on MSC‐secreted cytokines and microRNAs. For the whole story, head over to STEM CELLS Translational Medicine. The transplantation of human glial‐restricted progenitor (hGRP) cells represents a means to treat amyotrophic lateral sclerosis (ALS); however, clinical development requires the ability to track the cells employing noninvasive imaging methodologies and assess functionality. Towards this aim, researchers from the lab of Nicholas J. Maragakis (Johns Hopkins University, Baltimore, Maryland, USA) have assessed fluorine-19-labeling and magnetic resonance imaging to track hGRPs following spinal cord transplantation. Richard et al. established that this method did not alter glial identity of hGRPs or affect differentiation into astrocytes following transplantation into the mouse spinal cord, and allowed cell visualization in the brain. For all the details, see STEM CELLS Translational Medicine now!